By now you’ve hopefully heard of the BBC America Drama ‘Killing Eve’. This short series focuses on the hired killer Villanelle and Security Officer Eve who has been following this mysterious female killer. The dynamic between the two female leads is unlike anything I’ve seen before on TV. 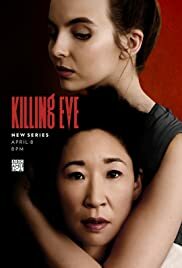 Both Jodie Comer (Villanelle) and Sandra Oh (Eve) are fantastic in this. Disappointingly there are only 8 episodes of the series but I, along with many others, are hopeful for another series. You can catch up with Killing Eve on the BBC iPlayer now.